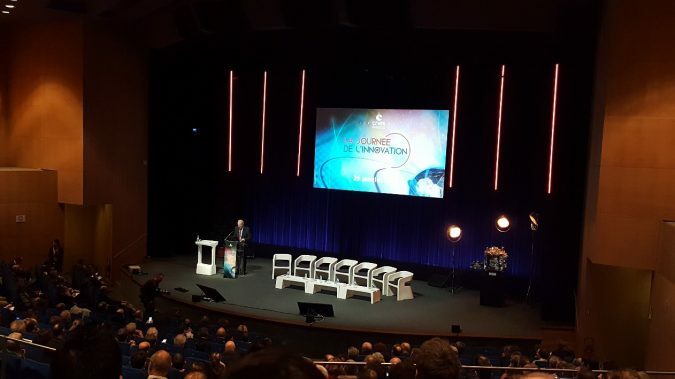 The CNES Innovation Day, the National Centre for Space Studies, took place on Thursday, January 25, 2018 at the Pierre Baudis Congress Centre in Toulouse. At this event, the technological prospects for future orbital systems and launchers were presented. The detailed plan for the R&T of the CNES orbital systems, as reported in the Blue Book 2018, was also circulated following the call for ideas, which gathered about 700 proposals from French industrialists and institutions. Specialized in the R&D of innovative materials, Recoll was invited in the framework of its collaboration with CNES on the study of stratospheric balloons. Indeed, Recoll was recently selected by CNES to develop an innovative and durable solution for the collage of balloons probes intended for the study of our atmosphere. Recoll will accompany CNES in all phases of the development of this adhesive, from the selection of the technological concept to the industrialization of the process.